Nutrition is important for any athlete – especially the young athlete. But, are sports nutrition requirements different for children? “Largely no,” say the experts. Adult athletes and children athletes need the same basic sports nutrition: excellent hydration, good carbohydrates, good fats and of course good protein. The studies have been done and the results are in: if young athletes have a healthy diet and good hydration, there should be no need for a supplement (or multivitamin) or sports drinks (that are loaded with sugar). A good old balanced meal with some fresh water will do the trick. So, what does sports nutrition for the young athlete look like? (Almost the same as sports nutrition for adults… but here’s a little breakdown for good measure). “7-20 oz. of water 2-3 hours before the start of exercise. 8 oz. 20 to 30 minutes prior to exercise or during warm-up. 7-10 oz. every 10 to 20 minutes during exercise. An additional 8 oz. of fluid within 30 minutes after exercising. That’s all well and good if you’ve got a water bottle with measuring lines, not to mention a scale handy to track your fluid loss… Usually, it’s just a good idea to drink water when you feel thirsty and make sure to hydrate properly before and after a workout. This is one of the nutrition categories that have a bit of difference between children and adults. Overall, carbohydrates deliver energy for any athlete, and increased carbohydrate consumption before exercise will normally improve an athlete’s performance (both child and adult). But, since children tend to workout at a lower intensity and for shorter amounts of time, they don’t need quite as much carbo-loading as an adult athlete. Instead, focus on a balanced diet and healthy fats. Contrary to old beliefs, some fats are GOOD for you. But, they must be healthy fats, of course. French fries, greasy pizza and fatty sweets are not good fuel for young athletes (which I hope you knew already). Instead, try healthy fats like olive oil (drizzled on a salad, maybe), avocado (as an addition to a sandwich), or fatty fishes (the Omega-3’s are great for muscles, joints and brain development). Some sports nutrition studies have shown that children’s metabolism prefers fat to carbohydrates as fuel, so make sure that healthy fats are part of your young athlete's diet. A general assumption amongst sports nutritionists is that children need a higher amount of protein to fuel their growing muscles. This makes sense, and if they are young athletes, they will most likely need even more protein. The main goal of course is to achieve a nutritional balance in the body. 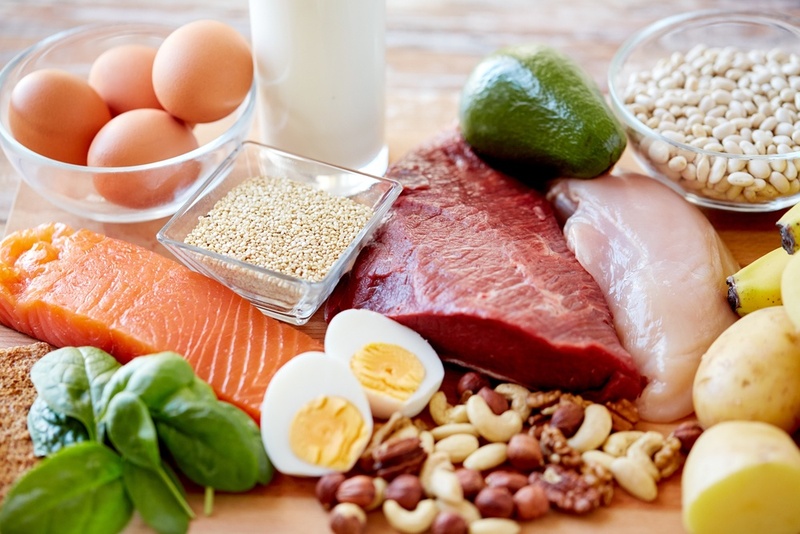 Having a healthy balance of protein-to-carbs-to-fat is important, in both adults and children. Each individual has different nutritional needs, depending on their weight and body mass, so it is important to work with young athletes on an individual level. Although most of the sports nutrition requirements for young athletes remain the same as for adult athletes (and are based on an individual level), it is generally agreed that supplements and sugary sports drinks are unnecessary at any level. If young athletes are consuming a healthy balanced diet, there should be no need for a multivitamin or supplement. Sports drinks may be great for the marathon runner who needs a quick boost of energy and sugar after 26 miles of sweating… but for the average athlete – all they need is good hydration with some good-old water. So there you have it (and it’s not that complicated). Eat healthy, eat balanced meals, and stay hydrated… all the tools you need to remain a strong and healthy young athlete.